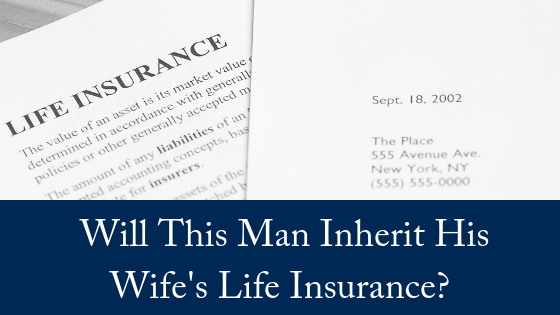 Will This Man Inherit His Wife’s Life Insurance? Can a man accused of helping his wife commit suicide inherit her life insurance policy? A Queensland man accused of assisting his wife take her own life as he was beneficiary of her $1.4 million life insurance told her she was too weak to survive the biblical rapture, a court has heard. Jennifer Morant died on the Gold Coast in 2014 after her husband Graham Robert Morant, 69, allegedly repeatedly told her her suicide would not be a sin in God’s eyes because of the financial windfall to his pastor aspirations. Mr Morant wanted to buy a property in the Gold Coast hinterland with the life insurance money to start a religious commune, Jennifer Morant’s sister Lynette Lucas has told a jury. “He had explained to her that he was going to have a communal environment, with bunkers and extended out-buildings so that when the raptures came, they would have a place of safety,” Ms Lucas has testified in Brisbane Supreme Court. “He was quite adamant he was going ahead with it … (he said) she’d be doing something good for the church and helping him. Mrs Morant was “horrified” by the plans and wanted no part of them, Ms Lucas said. Mr Morant pleaded not guilty on Monday to aiding in the suicide and counselling his wife to do so. He claimed he found a suicide note after coming home one night in November 2014. The note explained Mrs Morant didn’t want to be a burden on anyone, especially her husband, and it would not be fair on him to care for her “24 hours a day”. “Please believe it is my choice to do this and and there is no one to blame,” the note read, said Crown prosecutor Michael Lehane. Mr Morant told police his wife suffered “a lot of back pain” and took pain relief medication. But she was “fearful for her life”, Ms Lucas said. “(I told her) your life’s in danger with these (life insurance) policies,” she said. Police found Mrs Morant, 56, dead in her car with a petrol generator. Prosecutors allege Mr Morant helped his wife buy the generator and assisted putting it in the boot of her car. Mr Morant said she tried to kill herself at least twice previously, the prosecution says. If he’s found guilty of assisting the suicide of his wife, will he inherit her life insurance policy? 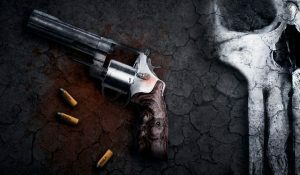 It is a long standing rule of the common law that “a man shall not slay his benefactor and thereby take his bounty”. This is known as the Forfeiture Rule in Australia (and the Slayer Statute in the United States). The effect of the rule is that where a person is criminally responsible for a death of another and they stand to benefit from the victim’s will or through the laws of intestacy, they are prevented from receiving any benefit from the victim’s estate. It’s important to know that in Queensland, the Forfeiture Rule is applied strictly. The guilt of an offender is determined ‘on the balance of probabilities’ and not on the higher criminal standard of proof of ‘beyond reasonable doubt’. This means that the rule can still apply where an offender has been acquitted or never even tried in criminal proceedings. A Queensland Supreme Court decision concerning the assisted suicide of a Will-maker, confirms that the strict operation of the Forfeiture Rule will apply in Queensland regardless of the motivation of the offender, for example to ease the ongoing and all-consuming suffering of a loved one. A case in which Mitchells Solicitors were involved tested whether the common law forfeiture rule extended to someone who’d assisted a suicide. Francis Ward died on 20 June 2009 as the result of a drug overdose. His estate is valued at approximately $140,000. By a “home made” will of 5 August 2007, he revoked a prior will, appointed Mr Merin Nielsen as his executor, and left his estate to Mr Nielsen. Mr Nielsen had travelled to Mexico at the request of Mr Ward, where he purchased the drug Pentobarbital. Mr Nielsen provided the drug to Mr Ward forthwith upon his arrival back in Australia, and it was the ingestion of that drug which led to the death. The deceased had a long-standing fear of being disabled to the point where he could not function independently. He had resolved, some years before his death, to take his own life should his perception of his situation reach that point. He independently sought the assistance of his friend Mr Nielsen once he had made the decision to terminate his own life. At the time the decision was made the evidence of a neighbour was that he was unable to even take out his own rubbish. The medical evidence from the autopsy disclosed a number of life threatening medical conditions. The death certificate lists in fact four causes of death, of which Pentobarbital toxicity is only one. The Chief Justice considered the application of the common law forfeiture rule, in circumstances where Mr Nielsen, named as executor and beneficiary under the will of the deceased Mr Ward, had assisted Mr Ward to commit suicide, and had been convicted of that under s.311(c) of the Criminal Code. His Honour referred to Troja v Troja (1994) 33 NSWLR 269, and also to the decision of the English Court of Appeal inDunbar v Plant  Ch 412 in which it was held that the common law forfeiture rule was not confined to cases of murder and manslaughter, and extended to assisting suicide. If you need assistance with any aspect of estate planning or would like to know how to contest a will, please contact us today. We offer a FREE, 10-minute phone consultation.